A sound walk with crickets to explore the city. 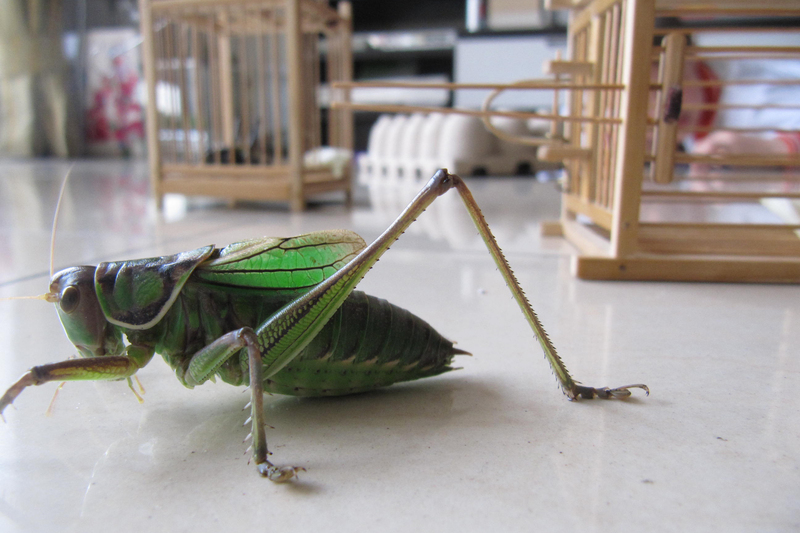 This session takes as its starting point a sonic trend which began in China over 1000 years ago in the Tang Dynasty – that of keeping crickets for their song. While mainly kept in the home or garden, the crickets were also carried around in small gourds, concealed in clothes and worn like a portable music player. It is thought that the practice, started by the royal family, began in order to bring company and comfort to the listener. The trend quickly caught on and became a popular pastime practiced widely in society, and it continues to this day. For this Points of Listening session we will be staging a digital re-enactment of this trend. Participants are invited to experience and contemplate the act of carrying this sound through the immediate environs of Elephant and Castle, to explore an alternative to our present day sonic trend of headphones and mobile devices that are so popular in cities today. Through this public form of sounding and listening, we can experience not only the cricket song as a mobile music, but also how we relate to the spaces around us. How do we hear the city, ourselves within in and how are we ourselves heard? Can this technique make us think differently about our position and relationship to the spaces we move through, and the people that we pass? In this way, this PoL will use the cricket song as both a measure and a lens through which to explore our location – to sound out our surroundings, hear ourselves appear and disappear in the sea of noise, and explore our city in new ways. Part of the evening will be spent in the studio and for the other part we will be outside on a sound walk, carrying recordings of crickets through the local area. Bring a warm coat.